“Tracy Smith (the school cafeteria manager) emailed me yesterday and said that the kids ate almost 1/3 of what we sent to the cafeteria yesterday in one day! 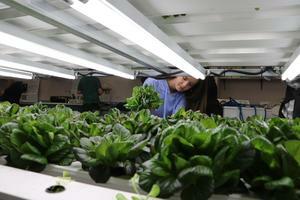 She said they are going crazy for the lettuce,” said Boren. 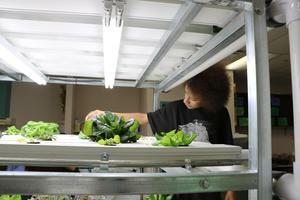 A productive week’s harvest of lettuce comes to about 7 pounds, and the greenhouse students and their friends are excited to the eat the lettuce grown at their school. “The taste is a lot better because we grow it,” said 8th grader Eli Davin. 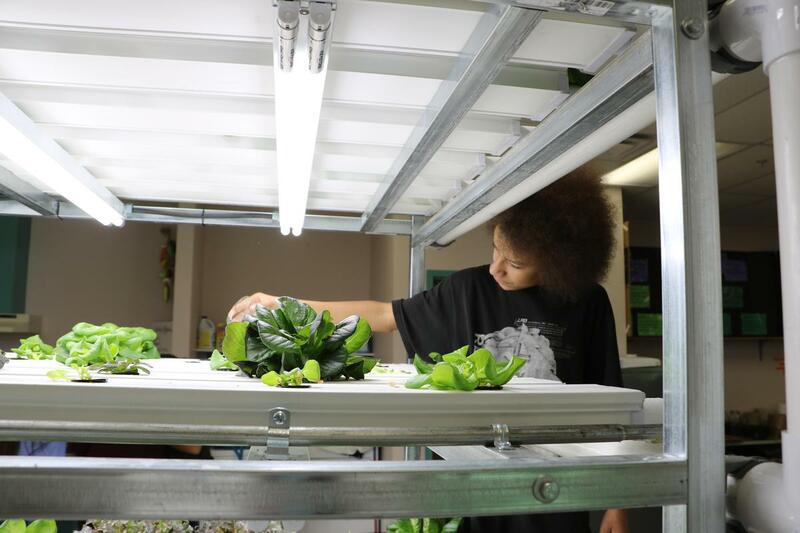 There have been some bumps in the road using the hydroponic growing system, but it’s created a great opportunity for students to experiment in a live setting. Fluxuations in the pH levels in the water have caused the lettuce to shrivel, so students use a Hannah tester to check and record the pH levels daily as well as tracking lettuce growth. Then based on their observations and pH data, they can adjust the pH using a pH down (an acidic solution), pH up (a basic solution), or adding water to bring the pH up, since our city water has a pH of 8.0 - 8.1. The lettuce has been thriving in pH zone of 5.5 - 6.5. The students are also learning how to prepare and can food, so they they can take full advantage of the harvests they reap now and in the future. It’s been a fun way for the students to learn life skills. “For me, it’s that you are learning stuff that you are actually going to use in life. 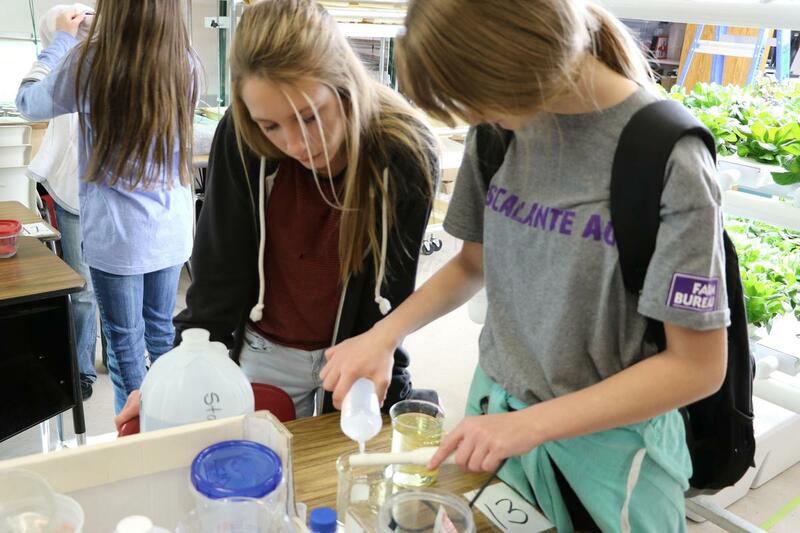 You’re going to have to know how to cook, when you are in college or whatever, you’re not going to have your mom and dad to cook you dinner, so you need to learn how to cook,” said Lauryn Dukart, an 8th grade student at Escalante. Some students came to the class with cooking skills, but took the course to learn more about the agricultural aspects of the class. “I already knew how to cook. I needed the class more to learn how to grow food, so that someday I can grow and store my own food. That’d be nice,” said 8th grader Mondo Autry. We look forward to seeing where their learning takes them, whether it’s applying their greenhouse skills to grow food in their backyard or a future career in our state’s agricultural industry.